HMRC already helps millions of customers manage their tax affairs, and by the end of this year we’ll be at the forefront of delivering online services that enable them to serve themselves without the need to pick up a phone or pen. Giving our customers their own Personal Tax Account is the next big step in customer service, allowing people to access what they need online, at a time that suits them. And we’re already there - one and a half million people have signed up to their Personal Tax Account** – and I want to ensure that all of us in the Civil Service have done this too. After all, we’re ultimately responsible for helping millions of taxpayers, so we ought to see first-hand what this means for them (and us), and share our experiences as customers of government digital services. We've made it much easier to get started – more than 70% of customers said they really liked it so far. It only takes five minutes or less. There are more than 30 services you can access via your account, such as checking your income tax estimate, viewing your State Pension forecast, and applying for Marriage Allowance, with more being added all the time. You're also given the option to sign in using GOV.UK Verify. 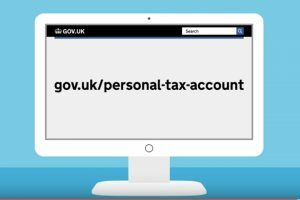 There’s a useful short film on YouTube about the benefits of the Personal Tax Account. You can view this here, below or on your home computer, smartphone or tablet. And don't just try it once – there are lots of reasons to come back. We keep adding new services to the account. ** The total number of people signed up to the Personal Tax Account reached 2 million in the first week of June. Just signed up to the service and am very impressed, being able to check my NI record and Income Tax at the click of a button. Keep up the good work. How will a disabled person aged 25 with a mental age of an 8 year old and who cannot read or write log in to set up a trusted person on their digital account? I have asked this at several BOF events and keep being told that this person would need to log in to set up their trusted person. Catch 22 anyone! There will always be customers who will need support to use our digital services. We will help, support and encourage those who could and should be using digital services. This will include providing dedicated assistance for those who really cannot get online, so no-one is left behind. Where customers genuinely cannot get online HMRC will provide alternatives, such as telephone filing. I signed up. Use of Experian was unsuccessful as they asked for bank account closed years ago. I found signing up via PTA link to register worked better. I needed NINO, Employer Refeerence and passport to hand-quick and easy. Then you get 4 digit code on mobile to input (for access) on screen. I made prof subscription claim and had some issues. The Outcome log is misleading as it is merely to advise claim submitted.. It should state "Update on progress" "Outcome should have been "payment sent". This caused me to phone 4 different tells numbers for assistance-this is where we create our telephone demand. The online help was at foot of page to send query. I did not spot this on first 2 visits. Online email query should be at top of page. Prof subs was 4 questions through claim form. Map of questions would have helped. I also made 1 blank refund claim as entered first option for claim refund, which did not have prof sub. I could not find mechanism to get code adjustment for current year. I was referred to 0300 200 3600 by PD1, but this also needs to have Option 1. You can email us your query instead of waiting for call pick up at:...... I did not realise until later that there was an email address for ir.helpdesk on Gov.UK website; neither would any caller. I liked the screens but refund claim asked for bank address unnecessarily- the sort code discloses bank address. The screen was also too short at 28 characters for my bank's address. There is room for improvement. I would like an option to email request for tax code update in current year before "claim a refund". 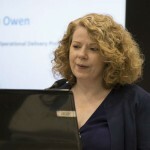 I realised that our processes are the source of a lot of telephone demand, not how much resource we throw at the problem. I couldn't sign-up originally because I have never had a passport and I have an old "paper" Drivers License. Why did the system not include landlines from the beginning, rather than assuming everyone has the type of mobile phone that is compatible with this process ?. You can always remove an option at a later date if it becomes redundant, but excluding a large number of people right at the start does not encourage participation with this or other similar systems in the future. You can sign in to your Personal Tax Account if you don't have a mobile phone as the option to receive the verification access code through a landline number is now live. This allows a code to be sent to a landline in a recorded message rather than by text to a mobile phone. This will improve access for customers who don’t have a mobile phone and those who experience poor reception. We ensured that the message service to mobiles worked efficiently and met most customers' needs before developing, testing and introducing the landline service for messaging, increasing the availability of the service to more of our customers. We are continually working to develop, improve and add services to the Personal Tax Account and welcome customer feedback. This is fantastic, it only took me 2 minutes to sign up with my P60 and NINO and it shows my state pension forecast. I do not have a Passport Driving Licence or Mobile so how will this work for me!! I've tried to sign up for a Personal Tax Account I've received a 13 digit activation code and have sucessfully had my ID confirmed via Secure Identity. When I try to log in to my account I receive the 6 digit HMRC Access code but when I get to the page when I need to input Name, NI Number and DOB I get an error message saying 'HMRC cannot confirm my details'. I've checked my DVLA details via the GovUK / Secure Identity route and this works fine so I'm not sure what the issue with HMRC is? I called the HMRC on-line helpdesk who referred me to the 'Help Box' at the bottom of the page - if I complete this how do they reply?